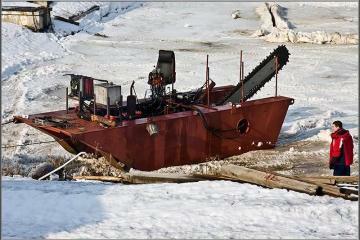 It’s not the most sophisticated boat you can bring to the water this summer. If you want a motorized boat that can pack in your car, navigate shallow areas of water, and provide a stable platform for fishing, however, the GoBoat definitely sounds like a keeper. 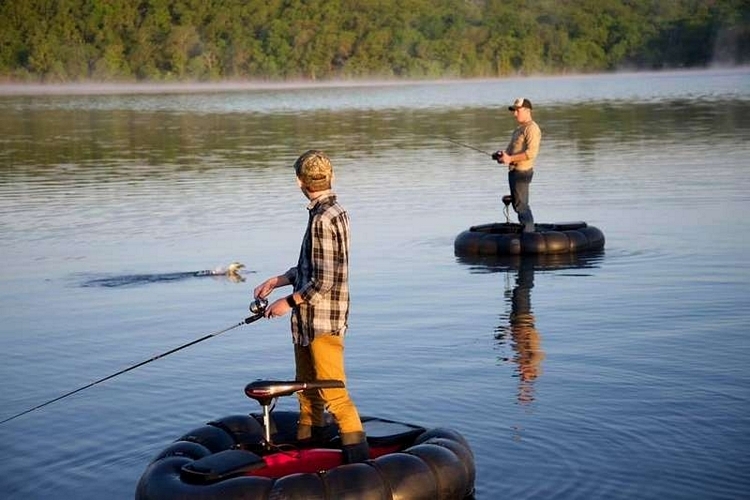 Sporting a design based on bumper boats, the watercraft comes with an inflatable hull shaped like an inner tube, making for a lightweight (just 15 pounds) and portable rig. 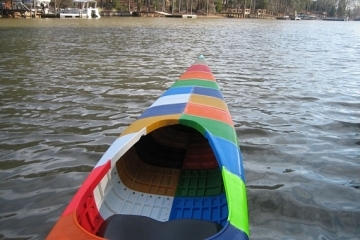 Along with the rest of the parts, the whole thing can conveniently transport in the boot of your car, ensuring you can bring a full-fledged watercraft to lakes, streams, and beaches without any complicated setup. 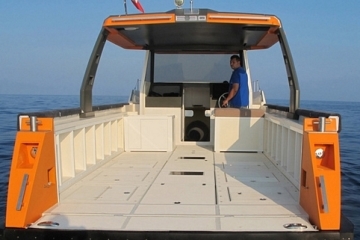 The GoBoat combines the inflatable hull with two platforms that serve as the boat floor and a center structure where you can mount a trolling motor, apart from serving as a seat. It can work with most transom-mounted trolling motors, so if you already have one in the garage, that will probably do the trick. 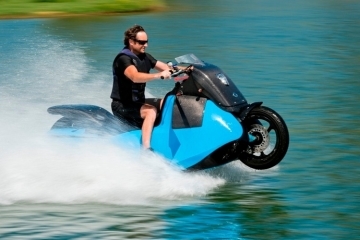 Designed for easy operation, it requires no boat ramp for launching, as you can ride the darn thing straight from the shore (it can handle really shallow water). 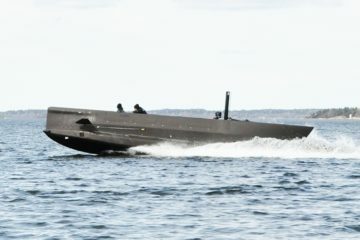 Because of its stable platform, the boat can be used for a whole load of water activities, from fishing to duck hunting to tracking the Loch Ness monster’s location. 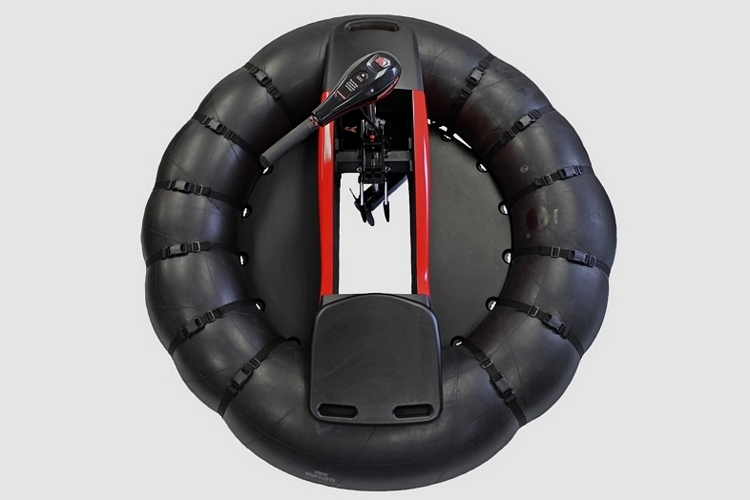 And with the inner tube hull, it should serve as a crazy fun bumper boat, too, so you can bring a couple to keep the kids busy for hours on end. 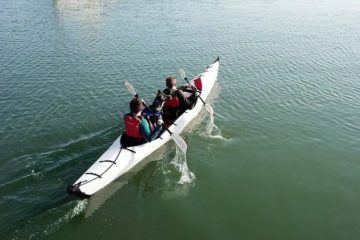 A Kickstarter campaign is currently running to fund GoBoat. Pledges to reserve a unit starts at $99.